Many elements go into the making of a good website before and after its launch. One of these items is a simple content management system that enables the business owner or admin to log in and make changes to the site, including publishing, changing or deleting content, without help from an external agency. 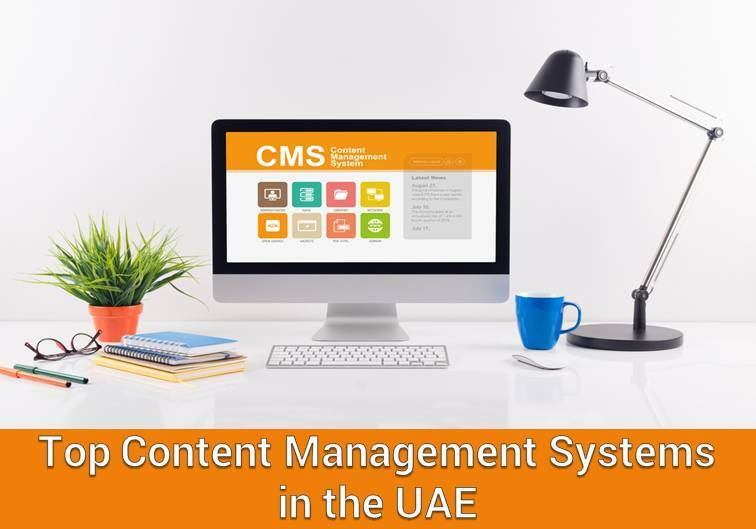 With that in mind, let’s take a look at the most widely-used content management systems (CMS) for the .ae domain extension allotted for the UAE. Our analysis of the top CMS platforms in the UAE is based on the domain name extension (.ae) which is the country code top-level domain (ccTLD) allotted for the United Arab Emirates. Unsurprisingly, the WordPress CMS comes out on top by a huge margin. 57.81% of websites with an .ae extension utilize the platform. From a web developer’s point of view, WordPress website designing can be a pain if there are a lot of complex customization to be made, but clients love it because they can update content to the site without trouble. Joomla!, popular with social and e-commerce sites, comes in at a distant second at 3.01%, followed by iAPPS, Microsoft SharePoint and Drupal. UAE businesses’ preference for WordPress reflects a global bias toward the platform. WordPress comes first, followed by Joomla!, Drupal and Blogger. These statistics might change in 2017 as enterprise users of Google Search Appliance switch to other systems following Google’s decision to withdraw the application from the market. At the time of writing this blogpost (November 2016), the latest active version of WordPress is 4.6. Among the 57.81% of websites that have installed WordPress, only 13% (ie. 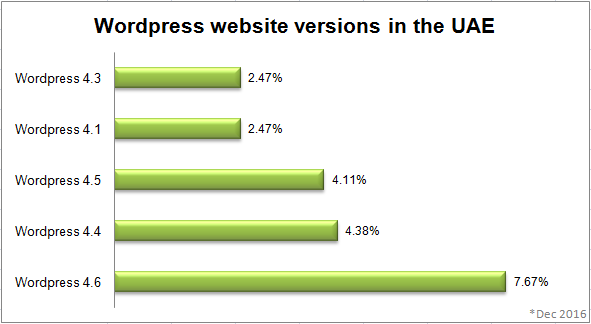 7.67% of WordPress websites in the UAE) have updated to the latest active version. This indicates that even though businesses create websites in WordPress, a vast majority won’t upgrade to the latest versions. Unlike proprietary CMS platforms like Adobe CQ and Microsoft Sharepoint which are restricted by their creators, open source CMS frameworks are made using code that’s available for anyone to use, copy, edit or distribute as they like. Open source has been ruling the sandbox for a while now, and the biggest players are WordPress, Joomla! and Drupal – used by some of the leading companies in the world including TechCrunch, Wired, and Sony Music. Because of its cost-effectiveness, we recommend open source systems for charity and non-profit organisations as well. Regardless of the data, always discuss your specifications with the web design and development agency before beginning your project. This will help them choose a content management system with the right capabilities for your business. Partnering with an experienced digital agency is great for your business online as well offline. Get in touch with a team of specialists and take your business to the next level.